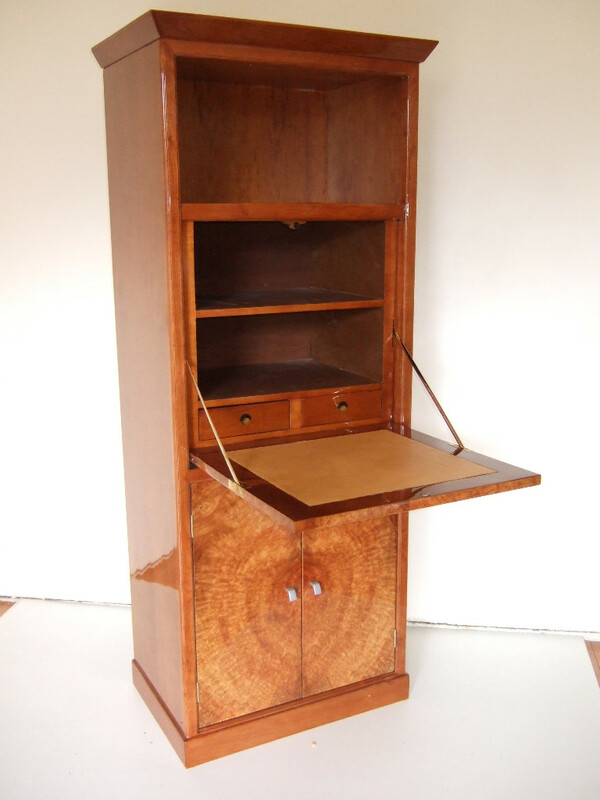 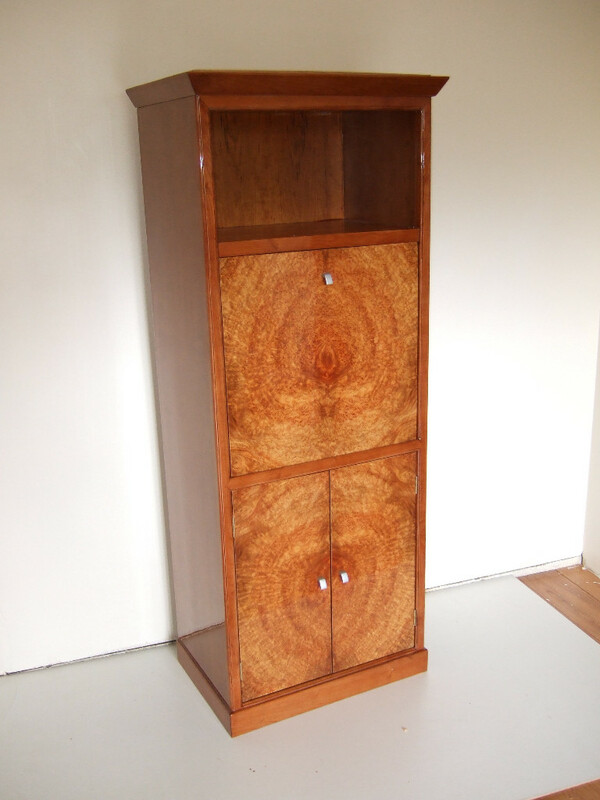 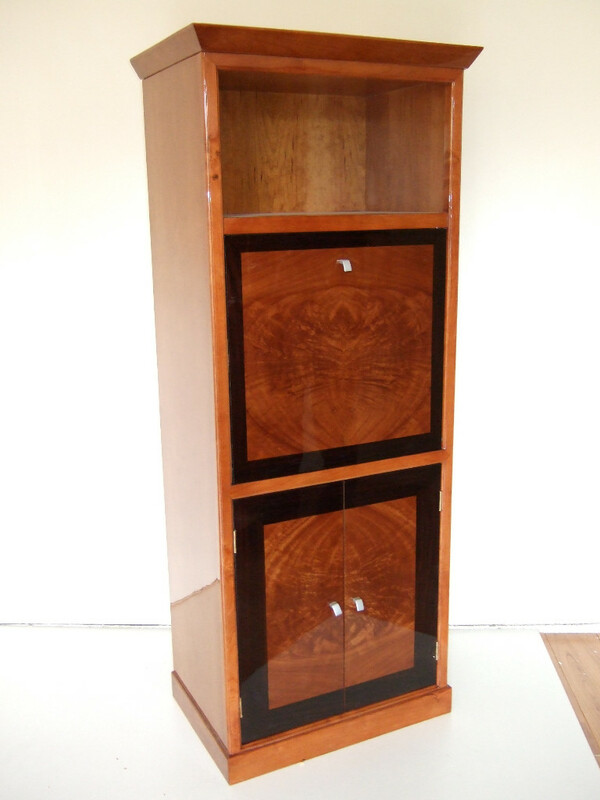 Two secretaries in cherry veneer and a mahogany burl and rosewood, the other Thuya burl. 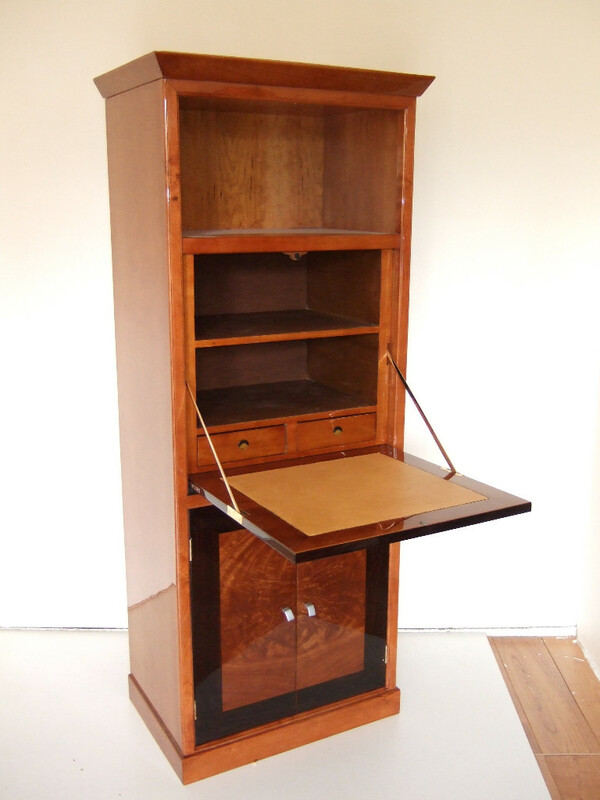 They each have an open storage space above a desk inside closed by a flap and two doors at the bottom. 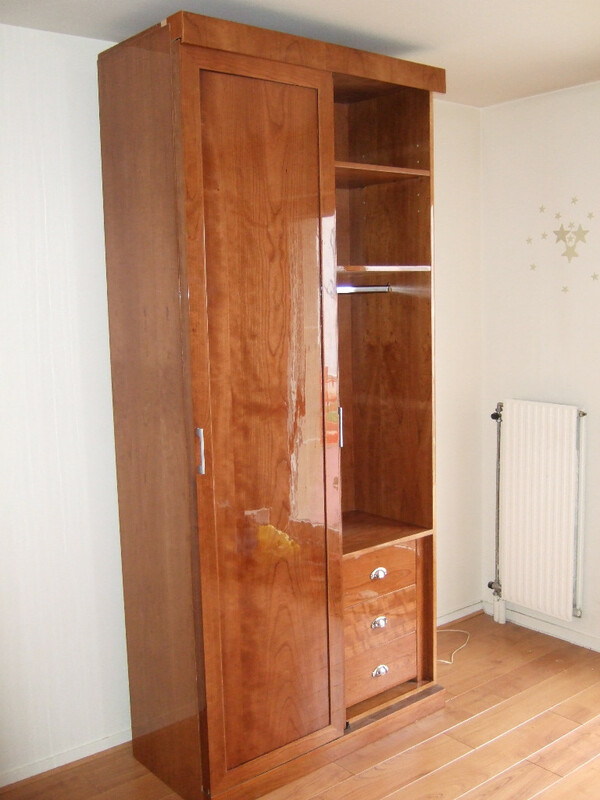 They just fit together with two bunk beds and a wardrobe in cherry. 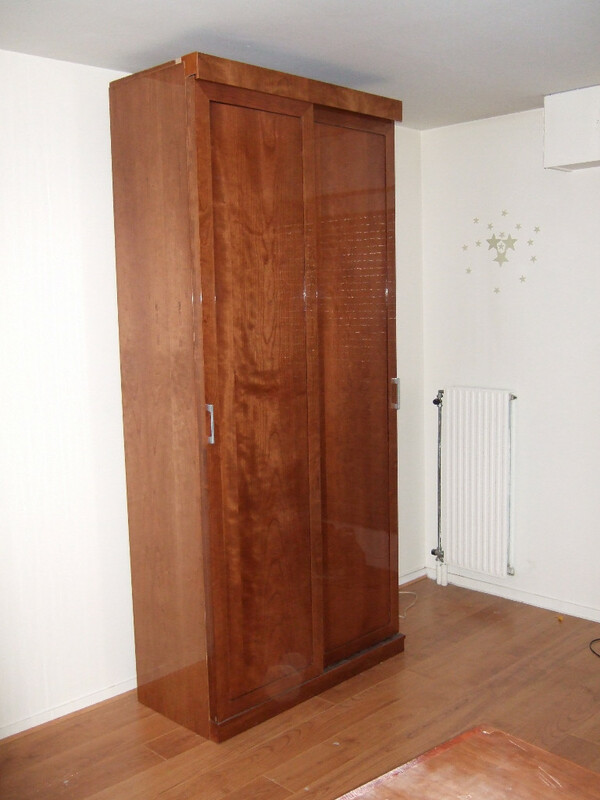 Wardrobe cherry opening two sliding doors on cupboards.